To all the teachers heading back to school this week. Here's one for you!! HUGS! 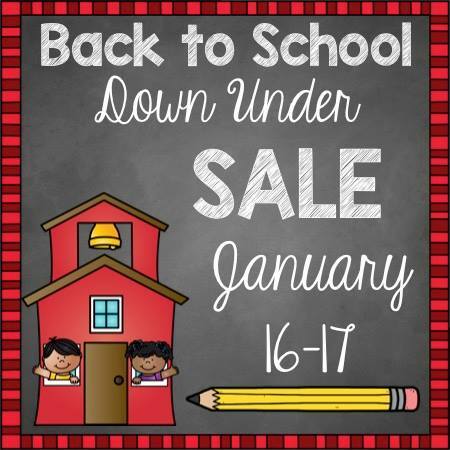 Check out all of these wonderful TpT stores participating in the Back to School Down Under Sale! Stock up for the coming school year at a big discount! 36. Smart Teaching - Makes Your Life Easier! Collection closes in 1d 10h 41m. I wrote the book after resigning from a K-8 principal position I had held for 14 years; today, I continue to work with students, teachers, and parents, all with the goal of helping everyone achieve a greater level of personal success in whatever role they hold. I also write articles for the Huffington Post and a various blogs, offer continuing professional education for Texas educators, and speak/present at conferences as opportunities arise. You are welcome to peruse my website (www.drsusiewolbe.com), the website for my book (www.theempoweredteacherbook.com) or the website for my bracelets (www.bestdayeverclubbracelets.com). Also, these are links for videos regarding both the bracelets (https://youtu.be/Yk1KAe6dTX4) and the book (https://youtu.be/8Bz7OxVU5Yw); I thought you might enjoy seeing them. Please let me know your mailing address if you are interested in receiving a copy of the book and a few bracelets. I can also send the press packet, if you are interested.